Videos can be really effective tools for online learning. They are easy to create, distribute and more importantly they keep learners engaged. They have the power to transform a potentially dull subject into an exciting and engaging learning experience. According to MarketsandMarkets, the global enterprise video market is expected to grow from USD 16.98 Billion in 2015 to USD 36.84 Billion to 2020, at a CAGR of 16.7% from 2015 to 2020. But, how can you make the best use of videos. Well, you need to focus on five key aspects. We’ve all been there. Some video tries to explain a topic we’re really interested to learn about, but keeps dragging it so much so that we wonder when it’s going to end. Remember that your learners can lose focus if your videos are at the long end of the spectrum. It’s better that your online learning videos are not more than 10 minutes. This is important to ensure your people can digest the information presented in the video easily. Videos can be a good tool to teach behavioral skills. Also called soft skills, behavioral skills are tough to teach through plain strings of text and are best understood when represented in a context.That’s why videos are effective for teaching the nuances that make up human subtleties such as body language and tone to strike the right chord with the learner. Some authoring platforms have certain video capabilities built in them, while others allow you to import videos. However, the important thing is to check whether the video format is compatible with the tool you are using to create your online learning content. Also, consider what devices your learners will use. This is important especially when you embed a video in your online course. Videos in the .flv format are very popular, but not all devices support them. For instance, most mobile devices don’t support Flash. So,you need to make sure the video format you use is compatible with your learners’ devices. One way you can keep your learners engaged is by letting them take part in an activity after they’ve watched the video. Turn your “show and tell” videos into “show-and-ask” videos. Add a questionnaire and quizzes that focus on the key components of the video. Allowing learners to interact and come up with their own ideas is the cornerstone of good learning. Not everyone is Steven Spielberg with heaps of production dollars at their disposal.Remember that if you choose to take the “live-action route”, you may have to spend money on hiring actors and producing and editing the video. 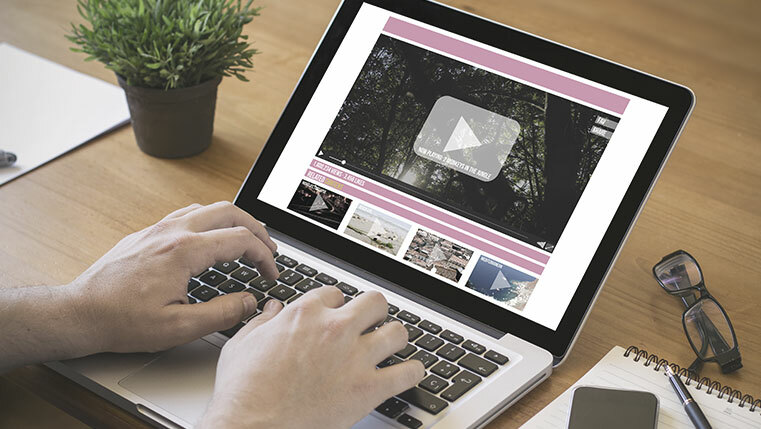 Although the cost of developing video for online learning has gone down significantly over the years, it is still a resource-intensive undertaking. As such, you must only use video when there is a clear instructional purpose behind it. Getting started with videos is rather easy. But make sure you present them in small chunks. Use them to impart behavioral and interpersonal skills and evaluate your learning. It is important to consider the authoring platform and the devices used by your people before you decide on the file format. You need to be realistic about your budgets. Hope you liked this post. How do you use videos for training your people? Do share with us.